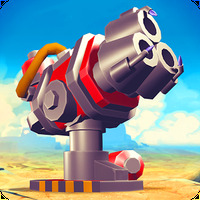 "Enjoy this combat strategy game set on a paradise island"
Game Goal: Fight the Shadow Guard, a terrible army that wants to control all the islands in the archipelago. You'll have to invade several beaches and destroy all the enemy's weapons and buildings. How to play: Before taking any decision, check the locations of the enemy base's weapons and buildings to create an effective attack strategy. Graphics: Crystal-clear image definition, with beautiful visuals and vibrant colors. Sound: Exciting songs and many, many sounds of gunfire and explosions. Game play: It is also possible to play online and attack your friends' islands. Content Classification: Ages 13+, or younger children under responsible supervision. 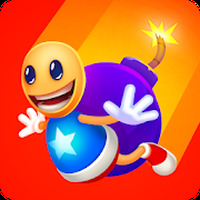 Developer: Supercell is based in Finland	- Developer recommended by Google Play. Installation requirements: A minimum of 96M of free memory space and Android 4.0.3 or higher. Ranking: The TOP 5 Most downloaded games in War Strategy Games category. It has an online mode. Some items can only be bought with real money. 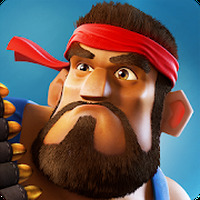 Do you like Boom Beach? Haven't even got the game yet!